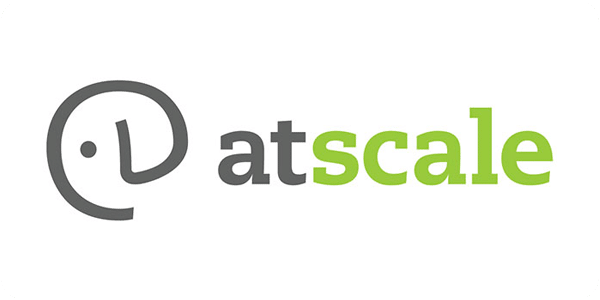 Business intelligence abstraction platform provider AtScale Inc. today said it has closed a $50 million late-stage round of funding. The Series D round was led by Morgan Stanley, with participation from new investors as well as AtScale’s previous investors Storm Ventures, Wells Fargo and Atlantic Bridge. The money will be used mainly to finance innovation, the company said. Its plans include expanding its product capabilities and developing deeper relationships with the analytics ecosystem. AtScale said it will also boost investment in its sales and marketing teams, both in the U.S. and internationally. The funding is a significant validation of AtScale’s technology, which serves as an abstraction layer for Hadoop clusters and other back-end data stores such as Snowflake, Google BigQuery, Amazon Redshift and Microsoft Azure SQL Data Warehouse. AtScale’s platform makes these data stores more easily accessible to a range of business intelligence applications such as Excel spreadsheets and Tableau Software Inc.’s visualization tools, without the need for complicated extract, transform and load procedures. Essentially, what AtScale does is it makes it easy for companies to tap into massive data lakes and warehouses, which are repositories of structured and unstructured data typically used for business analysis, and gather insights from this information. With AtScale, companies can build analytics models that connect any supported BI tool to any of the above data stores. AtScale also boosts the performance of these tools with its Adaptive Cache query acceleration technology, which is able to analyze query patterns in real-time to optimize responses. It works by intercepting queries and rewriting them to a common metadata repository that includes a semantic model, governance rules and a data lineage map. The cache also comes up with the summary tables, and machine learning algorithms generate “smart aggregations” that anticipate future queries based upon historical activity. Because of this, AtScale removes the need for data marts, which are small databases that contain extract data from a data lake or warehouse. This helps to eliminate time-consuming data transfer and cleansing processes when moving data to the cloud. AtScale has emerged as one of the leaders in a growing data warehouse virtualization market that International Data Corp. says is now worth $122 billion a year. This year saw it add more than 50 new customers, break into new markets in Europe and Asia, and cement important partnerships with companies including Cloudera Inc., Microsoft Corp. and Oracle Corp. The company also introduced a long-awaited cloud version of its platform this summer, making it available on Amazon Web Services, Microsoft Azure and Google Cloud Platform. More important, perhaps, AtScale this summer hired a chief executive, ex-Vertica Systems Inc. boss Christopher Lynch. He replaced the company’s co-founder, Dave Mariani, who stepped aside in order to focus on the company’s technology development. At the time, Lynch told in a report he was attracted by what he called a “$200 billion opportunity” and the chance to help enterprises achieve “cloud transformation” by moving business-critical applications to the cloud.